The last days before the National Football League Draft always seem to unearth some of the funnest things about the upcoming draft class. Now that the dust has safely settled on the 40-yard dash times and the pro days, and all the Wonderlic scores have been dissected and disseminated (in case you missed it, Johnny Manziel scored really well, but that doesn’t seem to mean a whole lot, historically), it’s time for the draftees to answer questions about their peers. That’s right — judgement on the 2014 NFL Draft class by the members of the 2014 NFL Draft class. At the very least, it beats another Colin Cowherd soundbite. It’s an interesting character study, though, especially since it allows us to look at the kinds of questions the NFL asks the prospect pool before the draft, which kicks off on Thursday. There’s also at least one good combine story that drops around this time — like how Seantrel Henderson, he of the badass first name and (potentially) costly weed habit. That’s far from the most interesting thing unearthed over the combine, even though the knowledge that the NFL only tests for recreational drugs once a season feels at odds with its public stance. No, that’s not what we’re interested in here. What we’re looking at, courtesy of ESPN The Magazine, are the publication’s interviews with 35 prospects on various aspects of the draft class. 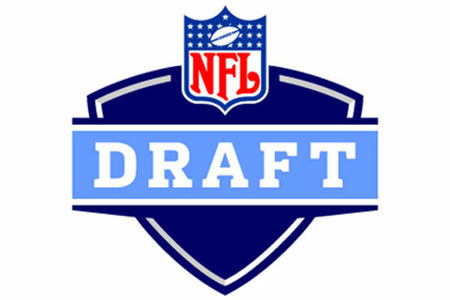 It’s important to note, though, that not all 35 answered every question, and, of course, we have no way of knowing who answered the questions, because if we could find out, then the various NFL teams could find out, and these guys might not end up drafted at all. At any rate, here are some of the more interesting things about the 2014 draft class. And what do Johnny Football’s peers think about him? Well, when asked which player they’d draft if they were looking for a franchise quarterback, 39 percent of the players surveyed by ESPN The Magazine answered with Manziel’s name. The other two QBs to garner the majority of the vote? Blake Bortles (29 percent) and Teddy Bridgewater (19 percent) filled out the rest of the top three vote. Manziel also finished second to Clowney in the “If you couldn’t chose yourself” question about the No. 1 overall pick, with 24 percent of the vote. Again, that’s a quarter of, at most, 35 prospects. The NFL drafts more than 200 players a year — this is what we’ll call a “small sample size alert.” Among that crew, Manziel also snagged 26 percent of the vote for “most overrated.” Go figure. But what about the specter in the room, the PED boogeyman? What percentage of possible draftees who spoke to ESPN The Magazine think that their contemporaries are juicing? That would be 16 percent. Which seems low, although maybe they’re just deciding to stay quiet on the issue. Who knows. One last fun stat: 65 percent of the draftees thought that their alma mater’s football program would be as accepting of Michael Sam as Mizzou was. Now for the weird questions that the NFL asks its draftees. While the league has come under scrutiny for the topics it broaches — sometimes about significant others; sometimes about bears, flowers, trees, and dogs — this year’s crop of free agents were asked questions ranging from “How is a fork like a spoon?” to “How many things can you do with a brick?” Hard-hitting stuff. For the rest of the ESPN The Magazine graphic, click here.